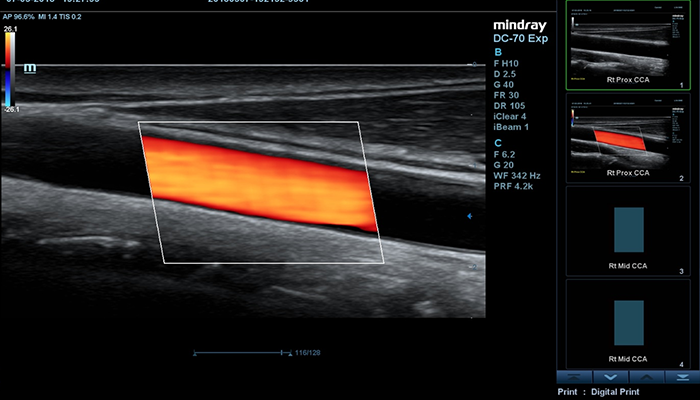 Mindray's brand-new solution is an excellent transform of continuous customer insights into clinical needs, combined with continually evolving cutting-edge ultrasound technologies. Full of vitality, with the goal of insight into the future and pursuit of the unlimitedness, it is constantly improving with increased scalability. 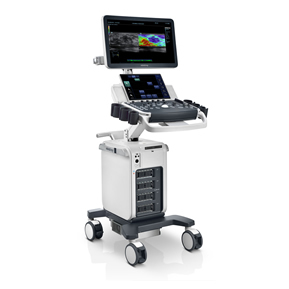 At this moment, the X-Insight solution is designed to deliver high efficiency with precision imaging, which is empowered by eXpress Clarity and eXceptional Intelligence, and benefits from eXceeding Experience. 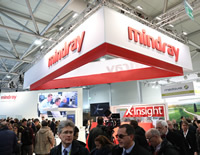 To achieve excellent images with minimal effort is always the highest clinical priority and Mindray's endless pursuit. 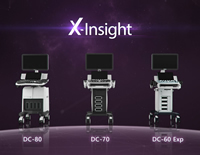 With continuous innovation of imaging and transducer technologies, X-Insight delivers express clarity with “Touch and Bingo” to get the optimal images immediately, as soon as the transducer touches the body.  The new X-Engine integrated with both GPU and CPU enables multi-core parallel processing for fast imaging and superb clarity. 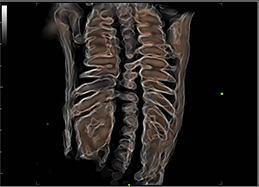 With the advanced imaging engine, the imaging processing speed is accelerated three or four times faster than traditional processing, resulting in extremely fast imaging and superb clarity for 3D/4D and other applications. 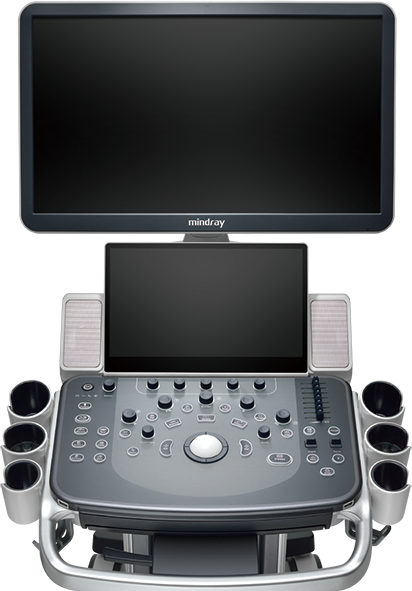 Combining with Mindray unique 3T technology (Triple-matching layers, Total-cut design, Thermal control), the brand-new single crystal volume, convex and phased array transducers provide a wider bandwidth to simultaneously offer better penetration and higher resolution, resulting in an optimum scanning solution in OB/GYN, ABD, Cardiology, and more. 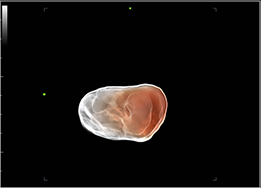 Comprehensive upgrading on iLive to significantly improve the detail resolution as well as anatomical realism. Hyaline is a new rendering method that dynamically applies transparency to rendered structures for a more comprehensive view of anatomy, therefore better displaying internal anatomy from a solid surface. 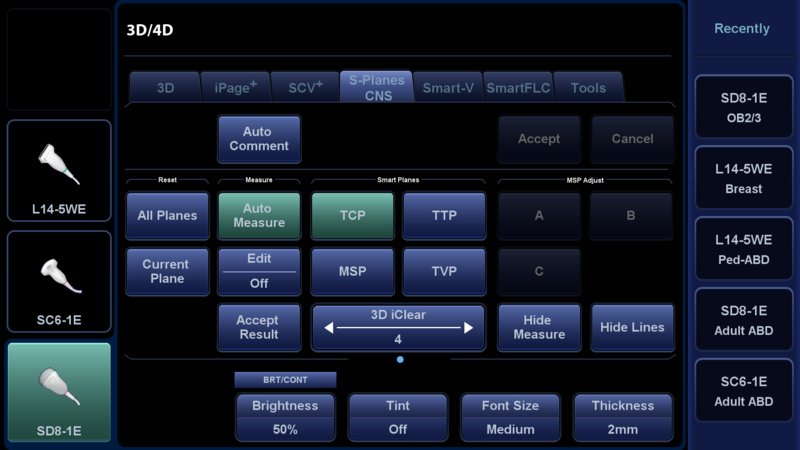 To improve scanning efficiency with more accuracy and consistency, X-Insight provides exceptional intelligence throughout the entire exam workflow, from plane acquisition to image optimization, and from calculation to exam protocol, with rich tools such as Smart Planes CNS, Smart Face, Smart Track, iTouch, Smart FLC, Smart OB/NT, Auto EF, Auto IMT and iWorks. 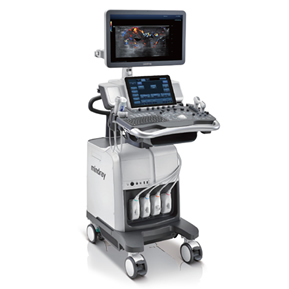 Smart Face provides a fast and intelligent optimization for fetal face with simply one-touch operation. 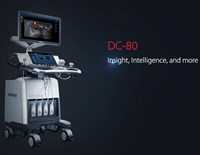 It immediately removes occlusions, such ascord, placenta, uterus and extremities, in the volume data and eliminates unwanted noise information, so finally generates an optimal view of the fetal face with more simplicity. 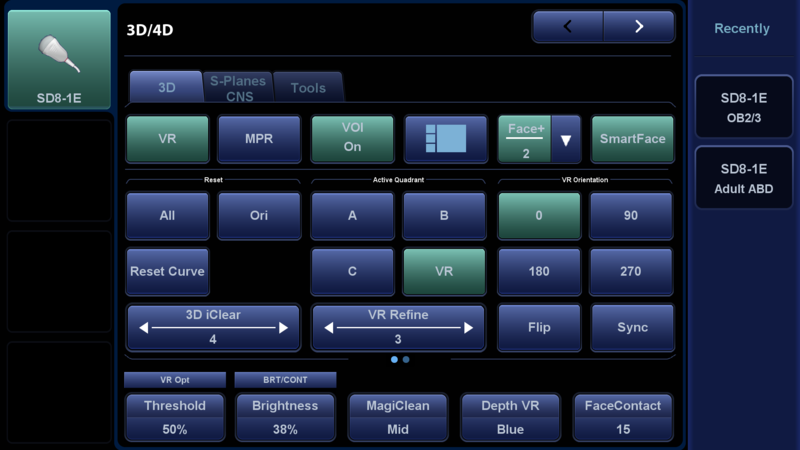 Smart Planes CNS is a user-friendly tool that greatly increase scanning accuracy coupled with fully automated operation, leading to an accurate diagnosis, improved through-put, and reduced user dependency. 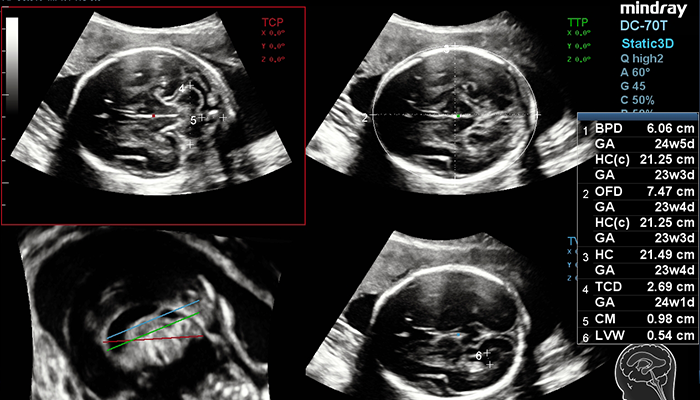 With a simple button-click on a 3D fetal brain volume image, the standard CNS scanning planes (MSP, TCP, TTP and TVP) and a range of related anatomical measurements (BPD, HC, OFD,TCD, CM and LVW) are obtained immediately with high accuracy. iWorks takes advantage of the built-in standard scan protocols for more consistency and reduces the exam time by up to 50%. 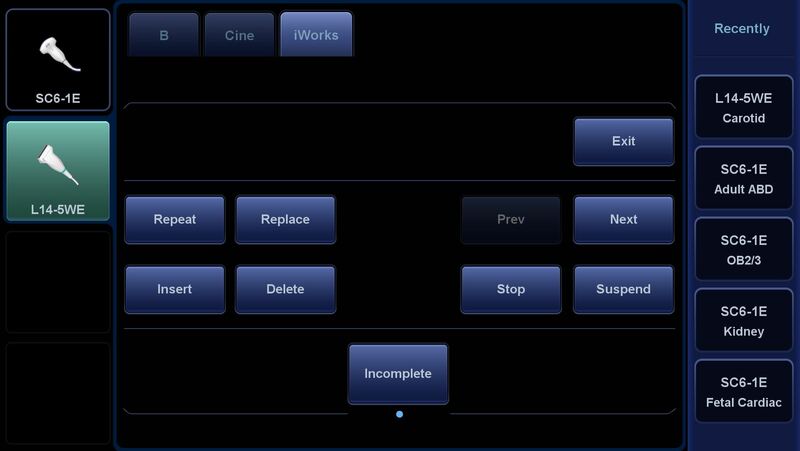 The highly flexible and powerful feature is further enhanced with user-defined capabilities. 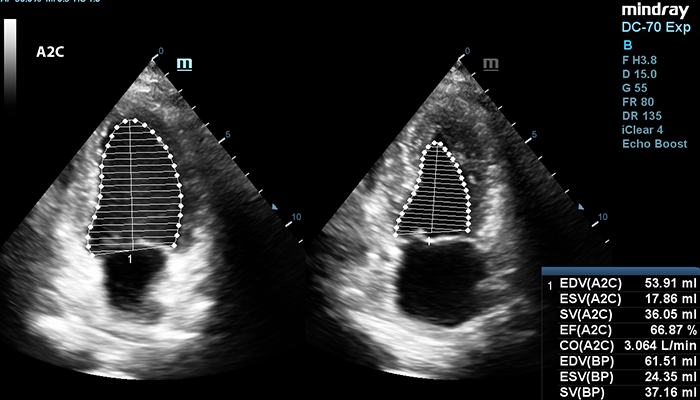 Auto EF is an intelligent way to analyze 2D echo clips to automatically recognize diastolic & systolic frames and output a series of measurements to evaluate left ventricle function for more productivity, such as EDV/ESV/EF. 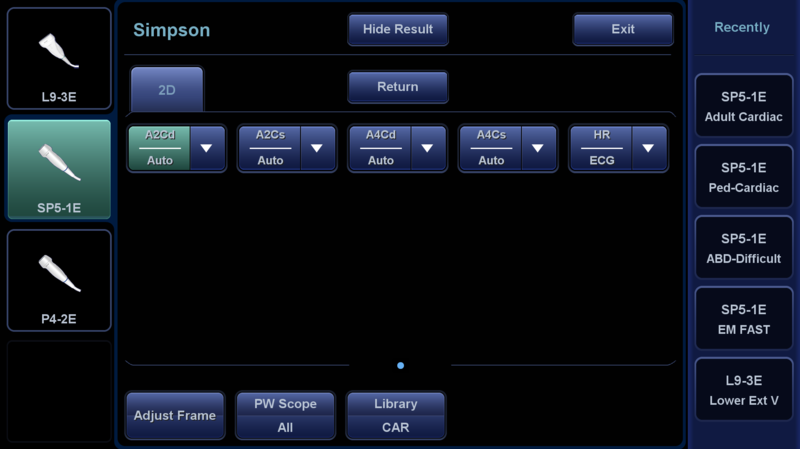 Exceeding experience in scanning results in more patient focus for high quality exams in both clarity and ease of use. 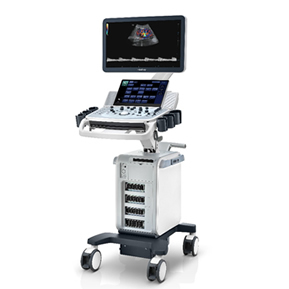 The X-Insight provides outstanding ease of use with better ergonomics, easier scanning, and flexible management, even beyond your expectations. 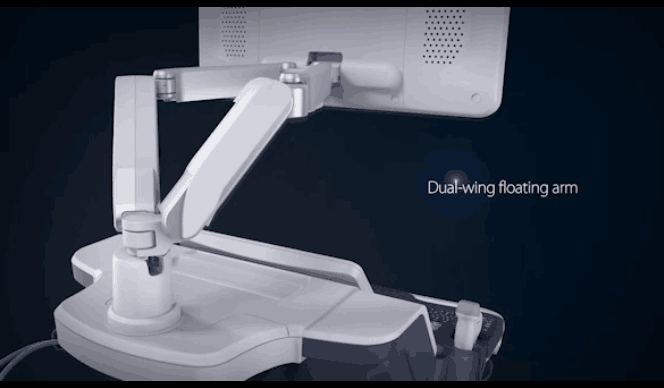 • Extremely flexible position of monitor according to clinical needs.